Megadeth frontman Dave Mustaine snapped on a fan and had him ejected from the band’s show in Manchester, England Wednesday night. Captured on video, Mustaine’s profanity-laced tirade reportedly began following a 10-minute stoppage early in the concert due to technical issues. 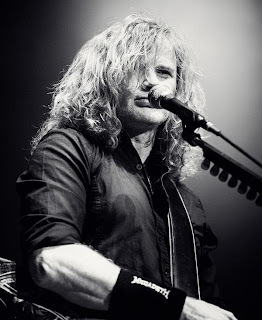 When Megadeth returned to the stage, the fan booed the frontman and his rant began. Please note that the language in the following clip is NSFW.